First held in 1980 the Bay to Birdwood Run it featured vintage (pre-1950) vehicles. The first Bay to Birdwood Classic was held in 1997 for vehicles built from 1st January 1945 and now the Classic is establishing a world class reputation right alongside the original Vintage Run. Run on alternate years, both the Bay to Birdwood Classic and the Bay to Birdwood Run. It attracts tens of thousands of people who line the streets from Glenelg (affectionately known as the Bay) up to the National Motor Museum at Birdwood in the Adelaide Hills. The car rally consists of over 1700 vintage, veteran, or classic and commercial vehicles, a great spectacle. They then join in the celebrations at the post-event party at the renowned National Motor Museum to see the vehicles and vintage fashions up close and dance to the music of the era. Of course, South Australian food and wines add to the fun! And there’s always free kids’ entertainment and craft activities. Event tickets also gain you free entry to view the National Motor Museum collection. 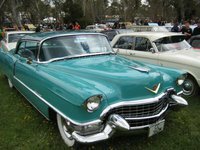 This year’s event which will be held on Sunday 25 September 2011, sees the return of the Bay to Birdwood ‘Classic’, with vehicles manufactured between 1 January 1956 and 31 December 1977. You can keep up with the very latest of this year’s Bay to Birdwood, by following them on Facebook, or Twitter. This annual event has now firmly established itself as an iconic event for both entrants and spectators alike, and is one of the world’s great motoring spectacles! So mark it on your calendar, and enjoy a day out watching history drive by … literally! !